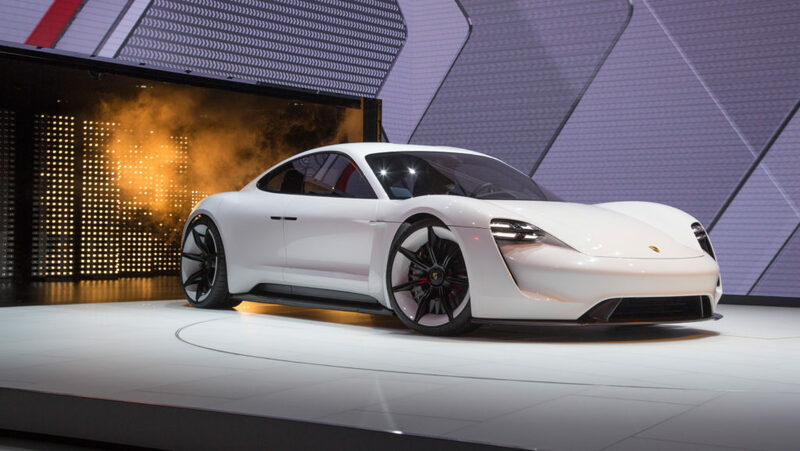 Porsche has decided that EVs and hybrids are, indeed the future. The company’s board of directors has agreed to double the Porsche electrification investment to $7.5 billion over the next five years. Much of that money will be invested in technology development, vehicle charging systems “smart mobility” programs such as Porsche’s recent experiments in car sharing, and on expanding manufacturing facilities to prepare them for handling plug-in vehicle production. A cool $622 million (at current exchange rates) will go to developing variations of the 300-mile, $85,000 (base price) Mission E electric sports car Porsche plans to add to its lineup in 2019 as a Tesla fighter. We expect that could include a plug-in hybrid model, a rear-wheel drive version and perhaps even a crossover model. About $1.2 billion has been earmarked for developing plug-in hybrid and electric versions of other models in the Porsche stable. That’s not an insignificant commitment. Porsche U.S.A. presently sells six nameplates – the Cayman, Boxter, 911, Macau, Cayenne, and Panamera – that collectively come in more than 60 different trim levels, body styles and powertrain choices. Porsche electrification today includes six variations of the Panamera E-Hybrid and two of the Cayenne E-Hybrid.